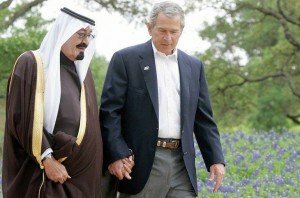 Saudi Arabia, one of America’s bestest friends in the fight against extremists like IS who behead people, was ranked third in 2014, after China and Iran, and ahead of Iraq and the United States, of all countries in numbers of executed people, according to Amnesty International. The neat thing is that while the U.S. is at war with IS, screeching about how they behead, the Saudi’s just keep sending people into really fair Sharia courts and then whacking away as the U.S. sits silent. Now, Saudi Arabia is advertising for eight new executioners, recruiting extra staff to carry out an increasing number of death sentences, usually done by public beheading. Authorities have not said why the number of executions increased so rapidly, but diplomats have speculated it may be because more judges have been appointed, allowing a backlog of appeal cases to be heard. No special qualifications are needed for the executioner job, whose main role is “executing a judgment of death” but also involve performing amputations on those convicted of lesser offences. The work seems to require some physical labor, is done outside and it looks like you have to buy your own sword. The job announcement was posted in Arabic on a Saudi civil service jobs portal. It is open to Saudi citizens only. You begin the application process with a downloadable pdf application form for the executioner jobs. The jobs apparently are classified as “religious functionaries” and start at the lower end of the civil service pay scale. Still, while the take home pay may be low, you just can’t beat this kind of thing for job satisfaction. Find something you love to do, and it’ll never be work. Don’t lose your head, guys. It may have a way to go to improve human rights BUT Saudi Arabia apparently is tolerant of gay relationships, as indicated by the photo. We should make Jenner our next ambassador to the Land of Sand. Ah, just so on your final observation. I’ve always enjoyed this photo of the lads tiptoeing through the lupins, sharing that genuine affection that only multi-millionaires (billionaires)can. But Peter, I always thought those Wahhabi – Salafist schools in the S.A. desert WERE the schools for the IS-type scoundrels? It takes a strong man to not see what our Saudi BFF’s do under our very noses. OR, the insurrection Also RISES! The definition of ISIS : USrael, Saudomists, Coalition of the Wahhabi, et al; as boogie men to Amerikan rubes/dupes! Can’t ship enough such Sunni soldiers off to save the House of Saud? Then, cut ’em off at the shoulders, instead! Don’t think such a calling would be easy. There are very rigid protocols to follow in such employment more intense than many “kosherisms” The blade must be surgically cleansed by the wielder between each use for the Koran forbids the mixing of blood types. Oh, my doctor said I was type B positive but I identify with type A negative. I didn’t know they had to kasher the blade. Of course, if you just used a wet-wipe between offings, it’s not like the head could re-animate to indict you. Funny on your filial feelings for blood typing. What a momentous joke the mass media is. Lisa, I was making it all up and joking about the Koran just to get to my riff on the ridiculousness of our times. Ironically my blood type is AB the actual opposite of my personality which is more giving than receiving so I truly can say I identify with type O. And, the ridiculousness of our times is that we spend any time on such ugly foolishness. I’m an “O” through and through, though not (-), so not a universal donor. And that is me, too.